Good morning! Sleep well? I see that you’re hungry and could use a jolt of caffeine. How about an egg and a nice cup of coffee? No problem, here you go! But… why the troubled grimace? 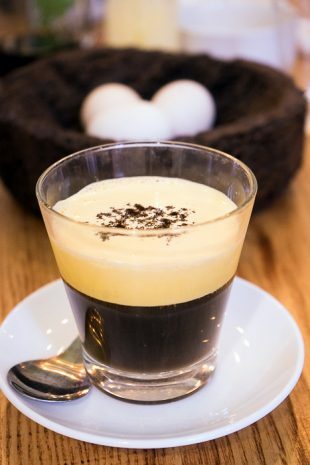 Didn’t you know that in Hanoi, we put the egg into our coffee?